How do we judge a film that no one saw? The audience gives a film meaning, or at least historical specificity. There are many examples of films that have never been seen (quite a few from recent British cinema history) because they were deemed uncommercial, and other grand projects that were never completed, such as Sergei Eisenstein’s Que Viva Mexico or Orson Welles’ Don Quixote. But the completed film that stands up as an exceptional work of art, that was a strong commercial possibility in its time, and whose exhibition could have changed film history (in a modest way) – such examples are rare. One such example has just found its way to a DVD release after a remarkable history of idealism, political intrigue, slander, subterfuge, disappearance, rediscovery and restoration. The Life Story of David Lloyd George was made in 1918, vanished before any cinema audience had a chance to see it, and re-emerged to astonished acclaim in 1994. Its place must be in virtual history rather than actual film history, because its story is one of if onlys and maybes. But what a story it is. The story begins with the Ideal Film Company, formed by the brothers Harry and Simon Rowson in 1911 to distribute films, but deciding to move into production in 1915. Excited by the interest shown by the public in official films of the war, the Rowsons decided to make an epic drama about the origins and purpose of the war, employing none other than Winston Churchill – then in the political wilderness following the Dardanelles disaster – to furnish ideas which would be turned into a scenario by Eliot Stannard. When Churchill returned to the cabinet in summer 1916 the original project was dropped, only to transmogrify into a biography of the new Liberal prime minister, David Lloyd George (the Rowsons were strong supporters of the Liberal party). Conceived as an epic story of a man whom from humble beginnings rises to lead his country through to victory in the greatest war known to man, it was an undertaking unlike anything attempted in cinema to that date, nor would it have any subsequent parallel until the American and Soviet biopics of the 1930s onwards (Young Mr Lincoln, Wilson, Lenin in October etc.). And those conform to the classicial dramatic conventions of their time, and their subjects were long dead – Lloyd George was, and remains, unique in subject and form. The script was written by a noted historian (though without film experience) Sidney Low. The director was Maurice Elvey, gradually rising to the top of his profession (at least in British film terms), while the cast were a mixture of Ideal stalwarts and lookalikes, most notably in the latter case the stage actor Norman Page, whose uncanny performance as Lloyd George carries the film (Page watched Lloyd George in full flow in the House of Commons and gives us what is probably a highly accurate record of his mannerisms). Alma Reville, later to marry Alfred Hitchcock, plays Lloyd George’s daughter Megan, and Ernest Thesiger can be spotted as Joseph Chamberlain. Helen Haye (not credited on the DVD but recently identified) plays Lloyd George’s mother. The film’s production was announced to the trade press in February 1918, under the title The Man Who Saved the Empire. It was not the only propagandist feature film epic to be made in Britain at this time, with American directors brought in by British official film interests to make Hearts of the World (D.W. Griffith) and Victory and Peace (Herbert Brenon), but it was the only one made on such a scale with private money only. Filming proper only began towards the end of August and astonishingly was completed by the end of September. Filming took place in several of the historical locations, including the north Wales of Lloyd George’s childhood, Birmingham and London. Shaping up to be two-and-a-half hours long, there were suggestions that the film could be released as a serial, but excitement was high at what promised to be the outstanding British film release of the year. In October the trouble started. Horatio Bottomley, the rabble-rousing but influential owner of the nationalisitic journal John Bull, began a campaign against the film. Essentially his line was that the film was a disgrace because it was being made by Germans. The Rowsons were Jews, real name Rosenbaum, and in Bottomley’s nakedly bigoted mind, Jews were equated with Germans. Bottomley’s campaign against the film (Ideal won a libel suit against him) brought a lot of unwelcome publicity, and may have added to a sense of awkwardness felt by some in the government at the production of a film lauding the achievements of the prime minister at the time of an impending general election (one took place in December 1918, just after the war ended). In the end, none of the evidence that we have really explains what happened next. The Ideal company were paid off, to the sum of £20,000 (around half a million pounds in today’s money), which was the cost of the film’s production – though not recompense for the anticipated returns. Lawyers for the government turned up, paid Ideal in twenty one thousand pound notes, took the negative away with them in a taxi – and that was the last that anyone saw of it, publicly at least. Someone in power thought it worth a lot of money to prevent the film from being shown, but to this day no one can really say why, and the documentary record (including a memoir written by Harry Rowson) is tantalisingly vague. Last night went to see a film of D’s life which Captain Guest had put on the screen in No 12 [Downing Street] – a perfectly appalling thing. The idea was all right but the man who was supposed to be D. was simply a caricature. I begged D. not to let it be shown. Mrs Ll. G. very angry with D. because she said I had put D. against it because I had objected to the domestic scenes in it! This I suppose must have been one of the best films I ever made or ever shall make … It is such a shame it has disappeared. In 1994 the film was discovered. It was in a barn at the home of Viscount Tenby, David Lloyd George’s grandson. It was in pristine condition, though in an unassembled form. 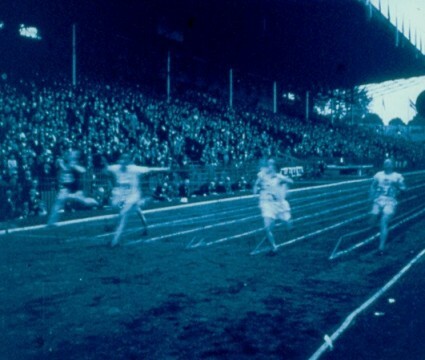 Considerable effort and ingenuity effort was required from the only recently-formed Wales Film and Television Archive to piece the film together. As the first sequences were constructed and shown to film historians and Lloyd George experts, the general reaction was astonishment. Instead of the quaint drama that, to be honest, we had been expecting, here was a film of skill and power, possessed of a fervour and a commitment to the issues of the day that were electrifying. 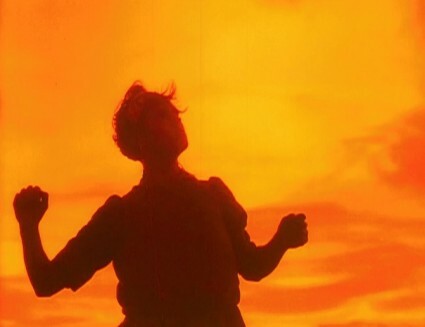 The film had its premiere – literally so – on 5 May 1996 (precided by a showing on 27 April for an invited audience) at the MGM cinema, Cardiff, accompanied by the Cardiff Olympia Orchestra playing a score by Welsh composer John Hardy. Since that time it has had screenings around the world, usually with Neil Brand accompanying on piano, and it gained recognition as a unique classic. But there has been a huge struggle on the part of the National Screen and Sound Archive of Wales (as they are now called) to get the film issued on DVD. Now, at last, with pseudo-orchestral score by Brand, it is available for all to see – and it is a film that demands to be seen. The Life Story of David Lloyd George tells the story of its subject from childhood to wartime victory (the film was completed before the war was won), told in key scenes selected to demonstrate a calling to national duty and a desire to overturn injustice. The early scenes, showing Lloyd George’s upbringing in Wales, have not been given the praise that should be their due. They capture an atmosphere of modesty, devoutness and dedication towards one’s fellow man which is moving in its general effect, and deeply touching in its detail, grounded as it is in an affectionate portrait of late Victorian Welsh society. Lloyd George is shown triumphing in the law and local politics through his oratory and commitment to noble causes. He gains notoriety through his anti-Boer War (1899-1902) stance, illustrated by a recreation of a speech he gave at Birmingham Town Hall which occasioned a near riot in the streets, which the film recreates with truly extraordinary newsreel-style realism, helped by many hundreds of extras. 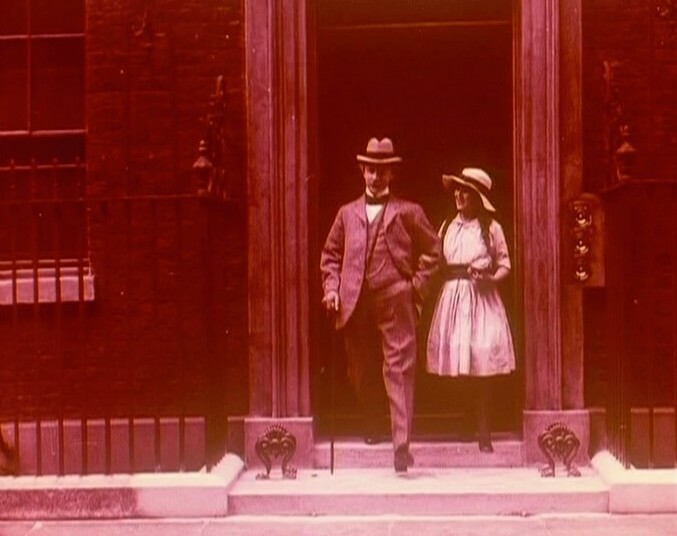 If these scenes impress by their documentary realism, the film’s greater power comes in how it illustrates the revolutionary effect of Lloyd George’s time as Chancellor of the Exchequer, introducing old age pensions and and the National Insurance Act (1911). The very rightness of the actions moves us now, and surely must have had – or would have had – an overpowering effect on a contemporary audience, to whom these great changes were recent occurences. Other vigorous tableaux follow, clearly inspired by the newsreels (Lloyd George himself was a consumate performer for the news cameras), notably the Queen’s Hall suffragette riots. The film makes much use of an impressive House of Commons interior set, peopled by lookalikes, shot and perfomed with an easy realism that could fool some into thinking they were watching actuality. The film dips somewhat in its second half when the First World War begins. Lloyd George served brilliantly as minister of munitions before becoming prime minister in 1916, but there is paradoxically less drama on show once the film has arrived at the climactic stage to which its first half has been building. The battle scenes are convincing, likewise Lloyd George’s visit to the Front, and there is a prolonged sequence inside a munitions factory which may lack dramatic interest but as a seemingly documentary record is superbly shot. But our emotions are not re-engaged until the film’s final scenes, when the war comes to an end. Troops line up on the parade ground in their hundreds, fall out, then run to their waiting loved ones, at which point they materialise into civilian clothes. Amid all the happiness, one woman turning her head and weeping stands for all those whose loved ones were not returning home. Shown live, it catches the audience’s breath every time. It is not a film for every one. Those hoping for either a more conventional human interest story, or a political drama, may be disappointed. 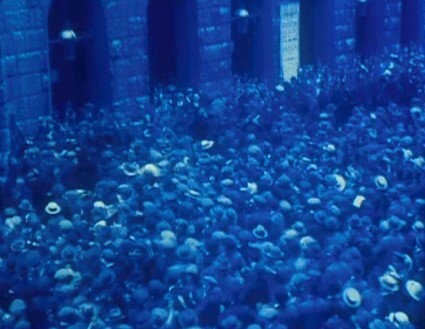 Its newsreel-style – a deliberate aesthetic choice to reflect the way in which many of the audience were most familiar with Lloyd Geoge as a public figure – lessens the emotion while it heightens the sense of living history. 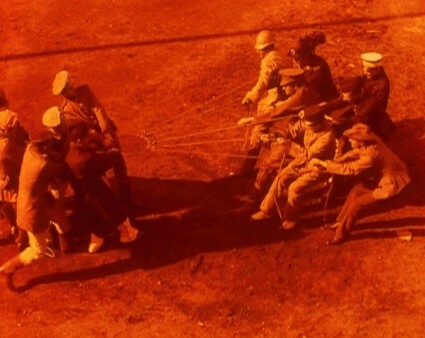 It is unlike any other silent film in intent and form. But watch The Life Story of David Lloyd George, and then try and take seriously one of the conventional dramas of the war made duing the war – Hearts of the World for example – and they come across as pitiable, not so much in their execution or use of dramatic convention as in their absence of real social and political feeling. The Life Story of David Lloyd George is not realistic as such, despite its newsreel inspiration. It is pure hagiography. 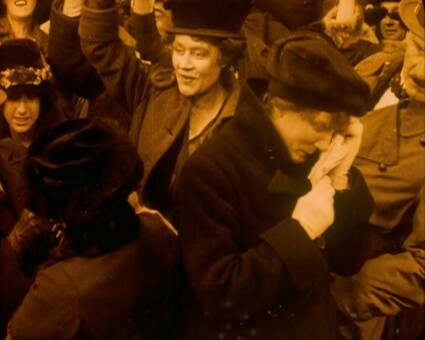 But more than any other film of the period it manages to articulate what people were fighting for. Which is what the Rowsons had wanted for their epic war film, right from the beginning. The film runs for 152 minutes. Viewers will see from time to time sequences which clearly do not quite fit. Titles referring to Moses are followed by film of Boadicea (the film has several such emblematic sequences); Lloyd George’s vision of his prime ministerial predecessors has obvious re-take shots; longueurs in the latter half would undoubtedly have been edited down had the film been completed for release. The film had to be pieced together without a running order, and a place found for every extant shot, somehow. 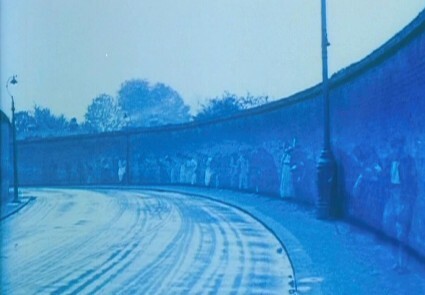 Tinting records came with the film, the colour richly but sensitively reproduced by the Wales archive. On the DVD you get 47 mins of extras, including an interview with composer Neil Brand which goes beyond the thinking behind his sumptuous score to consider the value of silent film generally. It is a tour de force from Neil which I would recommend showing to anyone wanting to understand what the silent film means for us today. Kevin Brownlow is interviewed, stating that the film would have changed film history (particularly in Britain) had it been shown – Britain’s The Birth of a Nation. Would it have been a huge financial success though? I think Ideal may have ended up with a problem on their hands – a long film, without stars, partisan in politics, perhaps too reliant on the patriotic uplift occasioned by the war. But we’ll never know. The DVD is available for purchase online from the National Library of Wales’ shop, price £18.99, or if you are passing through Aberystwyth, visit the shop in person. Those intrigued by the history should certainly check out David Berry and Simon Horrocks’ book David Lloyd George: The Movie Mystery (1998), which includes Harry Rowson’s memoir, and essays from Lloyd George’s biographer John Grigg, Nicholas Hiley, Sarah Street, Roberta Pearson, John Reed (who restored the film) and others. Information on the film, the archive that restored it, and a short video clips can be found on the Moving History website. 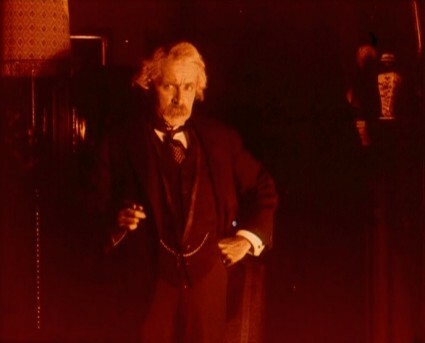 Finally, on my personal site, there the text of a talk I gave on the British epic film of the silent era which puts The Life Story of David Lloyd George in that particular context. The Life Story of David Lloyd George will never fit easily into film history, because it was never seen, and because there has never been anything else like it. But it is a major work irrespective of film history, and the National Screen and Sound Archive of Wales have done us a great service in making available to all. Luke: If someone had written a novel with this plot, no one would have believed it. I think I learned about paying attention to a historian’s point of view from reading books about the period and comparing the way he was depicted. Amazingly, I managed to write all that history and then leave out any mention of the Liberal party – the Rowsons were strong Lloyd George supporters. I’ve put something in now. There’s more to the history that could be put in. Some believe that Sir Basil Thomson, assistant commissioner of the Metropolitan Police, strongly anti-Bolshevist, and with some awareness of film, may have had a hand in suppressing the film. Kevin Brownlow refers to this in his interview on the DVD, but there’s no evidence for it. Moreover, the film is strong in some places on the value of social justice, but it’s scarely a call to revolution. Great write up Joe; I was able to see the film again in London recently (which Bioscope advertised early on in January). And once again it really woke me up on how great the film is, and how incredible the back story of the film itself is. The DVD is wonderfully put together, as is the Dave Berry and Simon Horrock’s book. There is also a BBC Wales documentary which was aired on the 4th June 2008 as part of the ‘Tales from the National Library’ series; which very much celebrated the finding of the film and the people involved with it. Sadly the doc was only screened on BBC Two Wales. But there is always the hope it will be screened nationally later this year. I will let Bioscope know when I hear more. I suppose there is no chance that exhibition prints of this film have been made, so that the film can be shown at festivals? This sounds like a film that might lose much on the small screen. Hmmm. A request to the Cinecon committee may be in order. Re the BBC Wales documentary, do keep us informed. The story of the film’s discovery alone is a heroic one. As for exhibition prints, I believe the National Screen and Sound Archive of Wales has a 35mm screening print plus DVCAM with Neil Brand’s soundtrack, which is what we showed at the British Library a few weeks back. It is a film to see on the big screen if possible. What a fascinating picture of Alma Reville in a film! I’m going to order the DVD right now.